Jared Cannonier believes he’ll finish Anderson Silva when the two collide in May. 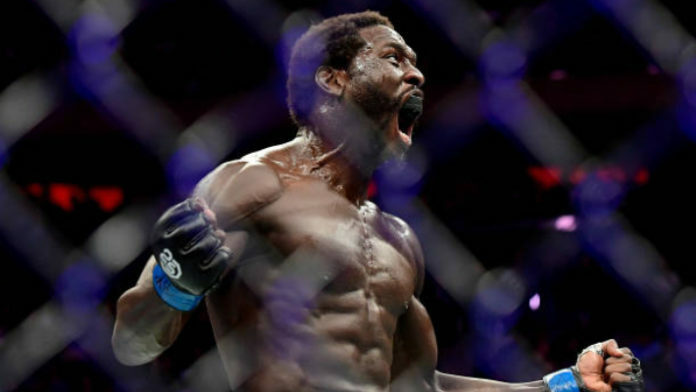 Yesterday (Feb. 20), it was revealed that Cannonier will go one-on-one with Silva at UFC 237. That card is being held inside the Arena da Baixada in Curitiba, Brazil on May 11. If all goes according to plan, this will be Silva’s 45th professional mixed martial arts bout. Cannonier snapped a two-fight skid in a big way back in November. He took on David Branch in a bout that few people had Cannonier winning. Not only did Cannonier emerge victorious, but he dominated Branch before scoring a second-round TKO. Do you think Jared Cannonier can stop Anderson Silva?